We’ve been hearing a lot of rumblings about 5G lately. For those who haven’t seen all the commercials, 5G stands for fifth-generation wireless. It means faster connections, less lag and the ability to connect more devices at one time. Along with making your smartphones faster, it’s also helping doctors perform surgery. Recently, a doctor in China used a 5g network to perform surgery remotely. The doctor who was located in the Southwest province of Fujian was able to control a pair of robotic arms at a surgical lab over 30 miles away. He was able to successfully remove the liver of a laboratory test animal. 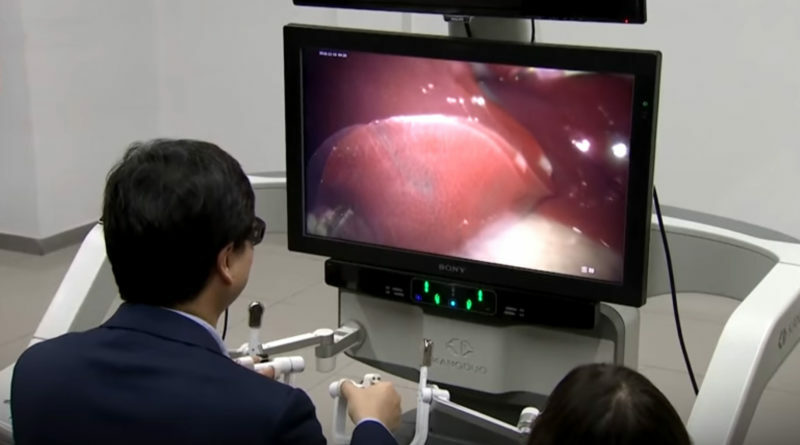 The surgery was performed on January 8 and officials claim that this was the world’s first remote surgery over a 5G network. The lag time between the doctor’s control device and the robot was only .1 seconds. Performing the same surgery over the slower 4G connection would have meant a much slower latency time which increases the likelihood of mistakes. While still in the testing phase, researchers are hopeful that the 5G remote surgery will soon be able to be performed safely on humans. Something like this ‘5G’ surgery’ could be a huge benefit to the medical community and save lives. Surgeons will be more accessible, able to operate on more patients and bring their expertise to places not previously possible. A skilled surgeon located in France could operate on a child in a Bangladesh village without having to leave his or her office. It could also be used to help train future surgeons who may not have ready access to proper surgical rooms. Check out our articles about robots working in hospitals and robots helping to clean beaches in Thailand.